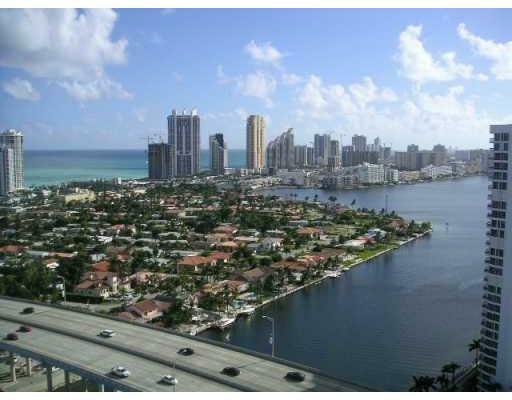 Aventura, Florida Real Estate | Susan J Penn l Best Agent l Buy & Sell South Florida Homes! Aventura Real Estate -Enjoying driving through the majestic palms and colorful flowers lining thebeautiful winding roadways of Aventura Boulevard and Country Club Drive. Aventura, the Spanish word for adventure, was named after the first group of condominium developments in the area. Aventura is 3.5 square miles and starts at NE 163 Street and Federal Highway to NE 215 Street and goes east to the water. Enjoy a nights stay at The Fairmont in Turnberry Isle while selecting your new home. The city of Aventura was developed through the 1970s and 80s, by the Oxford Development Company. It is amazing to view the older, low-rise buildings to new sleek upscale towering complexes. Aventura's skyline is filled with condominiums including several of the most prestigious condo towers in Miami. Neighborhoods consist of luxurious single-family homes and townhouses. Deep water access to the Intracoastal Waterway also makes this area a favorite of yacht owners. Aventura Real Estate - is synonymous with world-class shopping at Aventura Mall, one of South Florida’s largest and most premier malls. Aventura Mall's tri-level Mediterranean style features more than 280 shops and restaurants with such anchors stores as Bloomingdale's and Macy's. Enjoy Aventura' s 24-screen movie complex and a variety of wonderful dining selections from inexpensive restaurants to fine gourmet dining. Other shopping options in the area include the Shops at Waterways, a smaller outdoor mall. Nearby is Loehmann's Fashion Island offers bargain fashions, jewelry, and books at 18701 Biscayne Blvd. 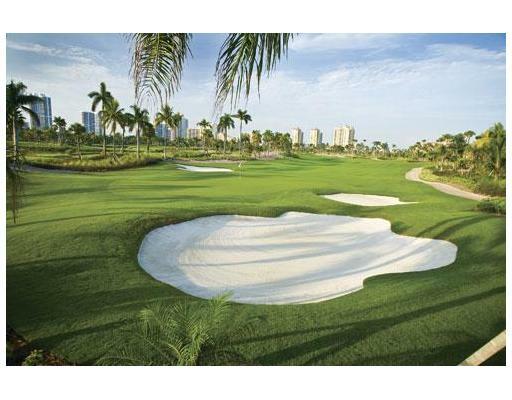 Aventura Real Estate - Turnberry Isles Resort and Club inside of the city of Aventura has private membership and offers two -18 hole golf courses, the Willow Stream Spa & Fitness Center, Tennis Club, lavishly landscaped lagoon pool, complimentary valet parking, and concierge services. The Club at Turnberry Isle has recently received a 150 million dollar transformation on both of their golf courses with spectacular water features and a fabulous 64-foot waterfall with complete privacy. Aventura is proud to anounce the opening of their new Cultural Center. This elegant high-tech facility provides a wide range of performing arts and cultural programming options for patrons of all ages. Families can take a walk through the local Founders Park overlooking the Intracoastal Waterway. Aventura's Founders Park is located in the center of the city of Aventura, and features a bayside path, a children's playground, children's splash park, tennis courts and a multi-purpose athletic field. You can also exercise along the nearby Don Soffer Fitness Trail. Residents of Aventura, Florida will find many specialty restaurants and cafes for an afternoon bite. Some of Aventura's restaurants are listed. Among the fabulous restaurants, take a look at Gulfstream Village with various eateries and enjoy Gulfstream Park. Taste the many flavors of delicious foods at The Village at Gulfstream Park with restaurants for your dining pleasure such as; Brio Tuscan Grill with Italian delicacies,Texas de Brazil, a Brazilian Steakhouse at 800 Silks Run Suite 130 for those who enjoy beef, pork or lamb, The Playwright filled with the tradidtional Irish Pub fare and a more casual atmosphere at American Pie Brick Oven Pizza where the pizzas are cooked in a wood-fire oven. For a great public marina, look at Loggerhead Club Marina.The marina is positioned between the Port Everglades Inlet to the north and the Baker's Haulover Inlet to the south. It is ideally set within the upscale Waterways Shoppes, an open-air shopping, dining, and entertainment plaza. Here is a video of the waterway shops. Aventura Estates is a guard gated community of 84 luxurious homes. Aventura Estates has private & luxurious Country Club Estates with direct access to & views of world-class PGA Turnberry Golf Course. The home owner association maintains all of the lawn care and pools. Aventure Lakes is a gated community with 24 hour security and resort amenties offering two club houses, one with spa, pool, play room, ballroom ideal for parties and banquettes. Island Estates is a private guard gated island with a private marina. Island Estates is surrounded by the intracoastal waterway with ocean access. View Aventura Estates Real Estate Properties For Sale.